Pregnancy simply speeds up postural changes and the body has to work overtime to adapt. Even in the last trimester the changes in weight and posture can be quite dramatic. From a Physiotherapy point of view, deeper more structural changes are important. The softening of pelvic ligaments (to enable the baby to be delivered through the pelvis) caused by a hormone called Relaxin can alter the stability of the whole body. The position of the growing baby may lead to pain and discomfort in the spine and pelvis. Physiotherapy treatment aims to improve your body’s ability to change (compensate) and adapt during pregnancy. The aim of Physiotherapy during pregnancy is to support you and your baby with the minimum pain and discomfort. One in five women suffer from SPD during pregnancy. Your physiotherapist will teach you some exercises for SPD (Symphysis pubis dysfunction). They will also provide suggestions on how to avoid irritating the joints. Advice such as using short strides when walking. They may also suggested sitting on a birthing ball. Paracetamol (if allowed) and hot water bottles can also help your discomfort. Support belts such as the Serola Maternity Support Belt. We occasionally recommend products online. 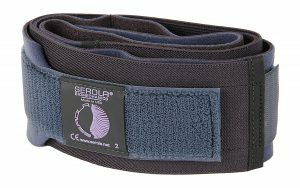 The Serola belt can be a life saver. A very comfortable belt that helps with pregnancy-induced sacroiliac joint dysfunction. We recommended this belt as its a reputable brand and in comparison with competitors. Your physiotherapist will advise you and there are also handy YouTube videos on how to use it correctly, too. Its better to have a size larger as its better to have too much belt than too little! Try to get extra help when getting up. Or stay in a comfortable position in bed! Online shopping can be a god send. Opening doors as these can make it much worse. Pregnancy physiotherapy can help enormously before, during and after pregnancy. Pregnancy physiotherapy is both safe and gentle. Both mother and the baby will respond well to treatment. We only experienced Physiotherapists who have undertaken post graduate training. Physiotherapy treatments used during pregnancy are gentle and carefully applied. Our Physiotherapy is gentle and your comfort is paramount. The mother and baby’s wellbeing is always taken into consideration. Your Physiotherapy treatment is carefully considered and individually designed to suit each mother. It’s important to us that you are very comfortable. We use specially designed and pillows and cushions for your comfort. Some patients like to lie on their front for certain physiotherapy techniques. The Physiotherapist is trained to know if you’re comfortable in certain positions (or at least to ask). Please feel free to let us know if you are worried or of course even slightly uncomfortable. Pregnancy physiotherapy aims to strengthen and stabilise problematic areas during pregnancy. Physiotherapy aims to educate and inform through patient discussion. Hands on Physiotherapy treatment aims to soothe and ease away pains that seem to change day by day. Physiotherapy treatments aim to normalise your body so that it works as effectively as possible. Treatments during pregnancy are no different. We aim to assist the natural process of pregnancy and birth by aiding the body to adapt and align as the pregnancy progresses. Pregnancy physiotherapy treatment achieves this by using experienced Physiotherapists who use gentle, safe and effective treatments. We are always aware of you, your baby and how you feel. During the delivery of your baby many factors can affect the passage of the baby through the pelvis. In some women, the pelvis is naturally asymmetrical or twisted out of line. This twisting can be due to many factors. This rigidity can interfere with the baby’s delivery through the birth canal and is the complete opposite of being hyper-mobile due to the hormone Relaxin. Physiotherapy treatment can help improve your spinal function and to mobilise your spine and pelvis in order to align your body. Pregnancy physiotherapy is great for improving pelvis and lower back mechanics. It’s helpful that the spine and pelvis is in the best possible position with as little torsion and restriction as possible. Pregnancy physiotherapy after your baby is born? Depending on the type of labour experienced during childbirth, women can have a wide range of issues after your baby is born. Pregnancy physiotherapy treatment can help to restore you back to balance after the babies birth. During pregnancy the body is pushed backwards into an extended position which shortens and tightens muscles. Physiotherapy treatment will educate your muscles helping to take away any pain and discomfort. Pregnancy physiotherapy can help to release the habits that the last nine months have formed. We will along your spine and pelvis. With a new baby life can change dramatically during the first year. They grow so quickly and getting the balance right between your wellbeing and the baby’s care is important to us. Our Hatfield Physiotherapy can also help ongoing back, muscle and joint problems. Physiotherapy treatment can also help with aches and pains associated with poor breast-feeding posture (men as using bottles. Well, you will be surprised !). Baby grows very fast so lifting car seats can be hard. Prams seem to be getting heavier and heavier and of course carrying baby and bending over the cot. Overall, postnatal Physiotherapy can help with long term preventative care, allowing you to relax and enjoy your new baby.